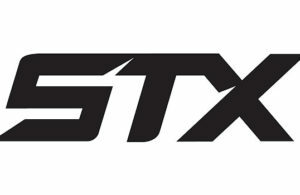 This spring, CCM will introduce an updated protective line featuring the all-new pro level CCM Jetspeed FT1 pants. The CCM Jetspeed FT1 pants will offer more of a snug and tapered fit which has become more popular in recent years. The shell of the pants is constructed of 400 denier textured polyester with side panel reinforcement. This material choice was made to help reduce weight and optimize durability. 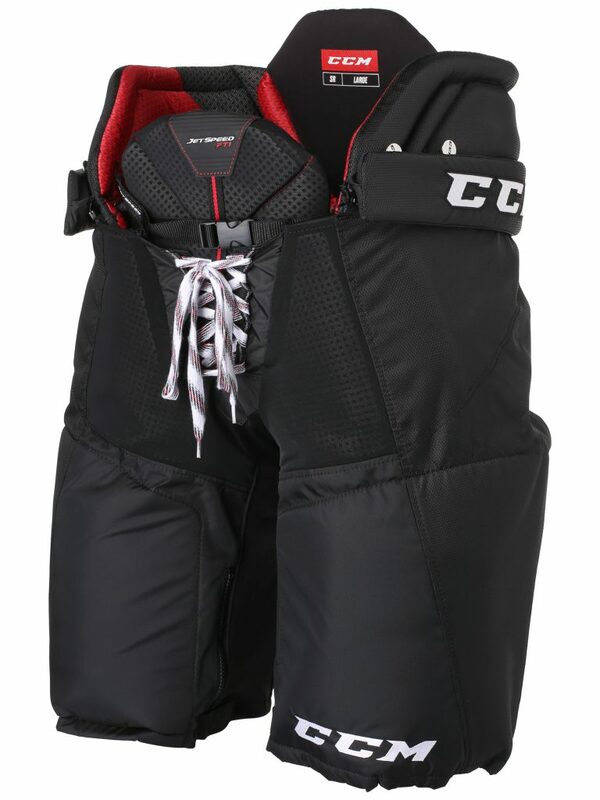 For protection, the CCM Jetspeed FT1 pants offer molded high density and PE foam in the thigh guard, along with molded PE caps for the hip and kidney. The hip and kidney protection includes vented zones to help keep you cool and dry while playing. In the back, you will find a floating spine protector with the new molded Rocketframe composite cap. This new setup provides maximum pro level impact protection in the lower back and includes the benefit of added mobility. Inside the pants will be Dryfoam technology with a soft laminated water repellent lining. This comfortable new liner will absorb less sweat throughout each game which will keep you dry and your pants lightweight. The closure system on the CCM Jetspeed FT1 pants will be an internal belt system with hockey lace tie. There will also be a hidden 1″ length adjusting zipper for players that want or require the added length. 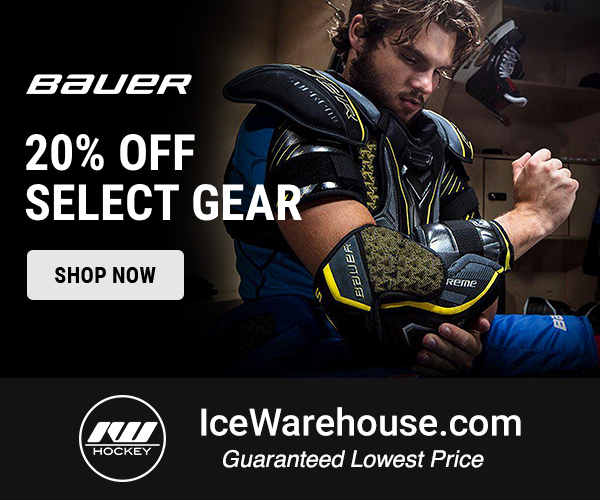 Further customization can also be found in the inner thigh region where the CCM Jetspeed FT1 pants include a leg zipper to allow for more mobility and flexibility. 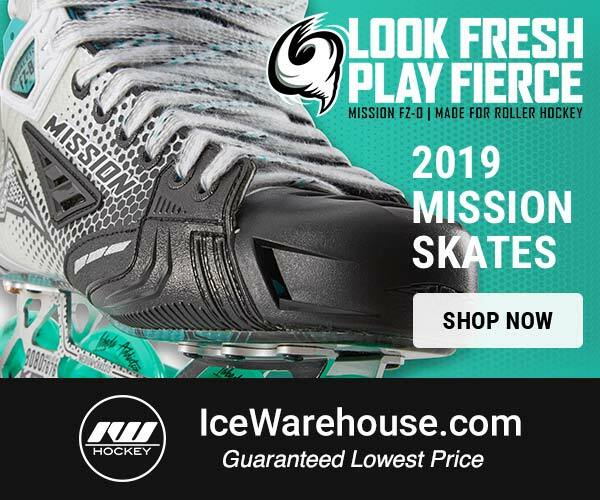 The new CCM Jetspeed FT1 pants will be hitting stores on May 25th, including our friends at Ice Warehouse, and will cost $189.99. Those of you looking to get your hands on them right away can actually pre-order the Jetspeed FT1 pants from IceWarehouse.com beginning on April 25th and they will ship early and land on your doorstep on launch day.